As part of her agenda to build a "growth and fairness economy," Hillary Clinton wants to encourage companies to share their profits with workers. She proposes doing so with a new, two-year tax credit for employers. A profit-sharing plan is one in which an employer makes contributions on behalf of a worker. Contributions, often tied to a formula based on an employee's salary, will vary depending on the company's profitability. And the money grows tax-deferred, as in a 401(k). Clinton cites research showing that profit-sharing plans are "good for employees, good for business and good for the economy." 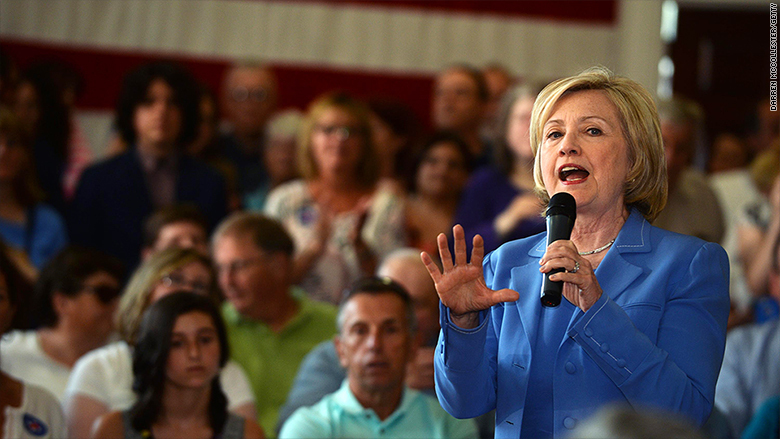 But some tax experts say Clinton's proposal may not do much to accomplish her goal. The tax credit - which is a dollar-for-dollar reduction of a company's tax liability - would be worth 15% of the profits a company shares each year for two years. A higher credit would be available for small businesses. It would only be available to companies that share profits with most of its workers: A provision would limit how much of the credit a company could claim if part of its profit-sharing goes to high-income workers. But the details of how that would work have not been determined. The value of the credit would be capped at 10% of an employee's wage: In other words, for an employee making $50,000, the company could give him a profit share of up to $5,000. The employer would get a tax credit worth up to $750 (15% of $5,000). Clinton is open to input from both labor and business representatives: She would direct the Treasury Secretary to work with small businesses, corporate leaders and labor leaders to figure out how a profit-sharing plan must be structured to qualify, and how to prevent the credit from being abused. The credit would cost the government as much as $20 billion over 10 years: Clinton would make up for the lost tax revenue by closing tax loopholes as part of a "comprehensive agenda," which the campaign promises she'll unveil in the months ahead. Eric Toder, co-director of the nonpartisan Tax Policy Center, doesn't think the credit will do much harm. But "if the plan is fully paid for by eliminating other tax breaks, it won't provide any additional economic stimulus," he said. What's more, Toder added, the temporary nature of the credit, and its complexity, might not do much to encourage businesses to start a new profit-sharing plan. Tax lawyer Steven Rosenthal, a senior fellow at the Tax Policy Center, also noted that asking for input from stakeholders is a dicey proposition. In his experience helping to craft tax bills, "we received lots of drafting help from the outside. They were called lobbyists—and rarely improved the legislation."